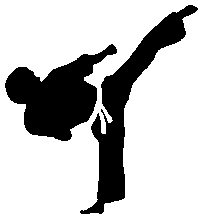 Taekwondo originated in Korea and is a modern martial art. 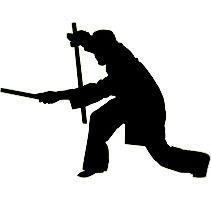 The use of the legs as a weapon is a distinguishing feature of Taekwondo which trains practitioners to apply static, aerial, and spinning kicking techniques to strike a variety of targets from those at ground level to well above head level. 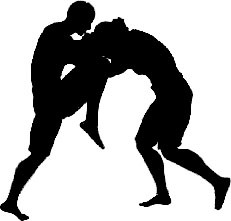 Furthermore, these kicks, particularly when executed with advancing, retreating, lateral, or diagonal footwork contribute to a versatile fighting style. Thus, the movement combined with technique enables practitioners to effectively strike targets beyond their immediate comfort zone. Muay Thai is known as "King of the Ring" in kickboxing circles. These fights feature punches, kicks, elbows, knees, and standing grappling. Thai training methods develop devastating power, speed, and superb cardio-vascular endurance as well as fighting spirit. Muay Thai training is also quite safe thanks to sophisticated pad training that evolved to keep fighters healthy between fights. Muay Thai has also proven very effective outside the ring, and has been embraced enthusiastically by practitioners of a variety of self-defense, sporting, military, and law enforcement activities. Kali is an ancient martial art that originated in the Philippines. It is said to encompass all the Filipino martial arts. Other common names associated with this art are Arnis, Espada Daga, Eskrima and Dumog. Kali training emphasizes angles of attack, foot work, reflexes, sensitivity, and speed. The value of Kali cannot be emphasized enough. This powerful art covers all four ranges of combat and includes principles that can be transferred from one weapon to another and to other arts. Kali training is divided into at least 11 areas: double stick, single stick, stick and dagger, single knife, double knife, staff, projectile weapons, throwing weapons, palm stick, flexible weapons, and empty hands. Brazillian Jiu Jitsu (BJJ) is an effective self defense system with its main emphasis on ground fighting and submission holds involving joint locks and chokeholds. BJJ was originally intended to teach a smaller average person how to beat a larger, stronger and faster opponent in combat focusing on leverage and technique rather than speed and strength.